Alabama Moon is a movie I liked a lot at the Heartland Film Festival. It shows how a boy named Moon raised in the wild by his father has to change and adapt to modern times when his father dies. The movie is set mostly in the forests of Alabama, though Moon does end up at a detention center for boys where he makes his first friends. The sheriff was the silly bad guy (played by Clint Howard) and a neighbor was the good lawyer (played by John Goodman) who helps Moon and finds his uncle. I didn’t like that Moon’s friend Kit had to die, because it seemed unnecessary to the story. When I asked the producer, Lee Faulkner, he said they didn’t want the movie to change the story from the well-known book. I didn’t know if he was making more films. He told me, “We have several projects in development, including a TV series based on the movie Alabama Moon. It will follow Moon and Hal as they travel across the US and experience several adventures.” Overall, it was a great movie and I recommend it. First Dog is a family friendly film about a boy and a dog and their journeys. It is written and directed by Bryan Michael Stoller. A foster child named Danny finds the President’s dog after someone tries to assassinate the President and Teddy, the dog, accidentally gets lost. 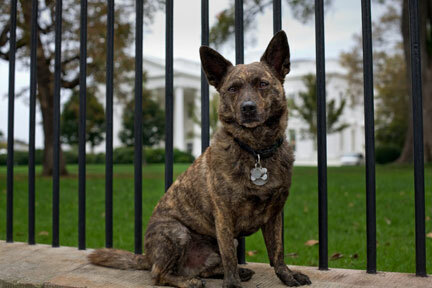 Danny decides he must take the dog back to the President in Washington, D.C., even though he lives in California. So Danny and Teddy go on a trip across the country. The main person who helps them is a truck driver named Big Mike. At the end, the President and his wife, who don’t have kids, adopt him. They think he is a brave little boy. But I think the best part of First Dog is Teddy, played by Little Bear, who has been in a few other films. The Presence is a supernatural movie written and directed by Tom Provost. It was the Closing Night film for this year’s Heartland Film Festival. It is not a horror film like some might think from the title or the advertising or the scarier parts of the movie. It would scare little kids because it is very mysterious and suspenseful like Alfred Hitchcock’s films. There are only three people in The Presence who are alive. One is the main character played by Mira Sorvino, who goes to an old summer home in the middle of nowhere by herself. There are also several ghosts or spirits, but only one is bad and he does not get his way. It was an interesting movie that creates suspense without being too scary. Read Madelyn's review of The Presence of Tom Provost. © 2008-2010 Film Entertainment Magazine / EMOL.org. All rights reserved.